It's been decades since the release of the ill-conceived Super Mario Bros. movie, yet Hollywood still hasn't managed to crack the elusive video game formula. There have been some truly terrible attempts at adapting games for the big screen in that time, with the studios seemingly incapable of learning from their mistakes, but surely it's just a matter of time before one of them finally gets it right. Right? That day may well be a lot closer than you think, because — believe it or not — the Call of Duty movie is actually shaping up quite nicely. The first CoD movie is scheduled to drop sometime in 2019, and while it doesn't have a distributor nailed down just yet, the two producers handling the property have a mightily impressive track record. Stacey Sher and Nick van Dyk (co-presidents of the fledgling Activision Blizzard Studios) have been responsible for some of the most memorable movies of recent years — Sher's credits include Quentin Tarantino classics Pulp Fiction, Django Unchained and The Hateful Eight, and Van Dyk is a former senior exec at Disney, where he resided over the acquisition of both Marvel and Lucasfilm. 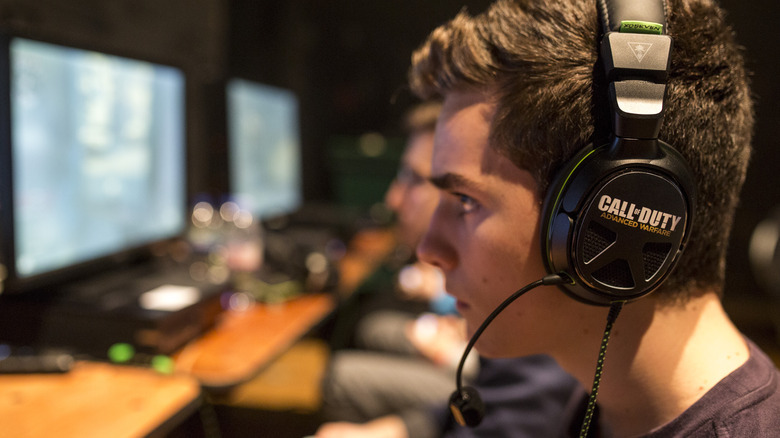 The experienced duo have been talking up the live-action potential of CoD in the press over recent months, but they aren't the only ones who believe the video game curse is about to be broken. This is why the Call of Duty movie is going to blow you away. 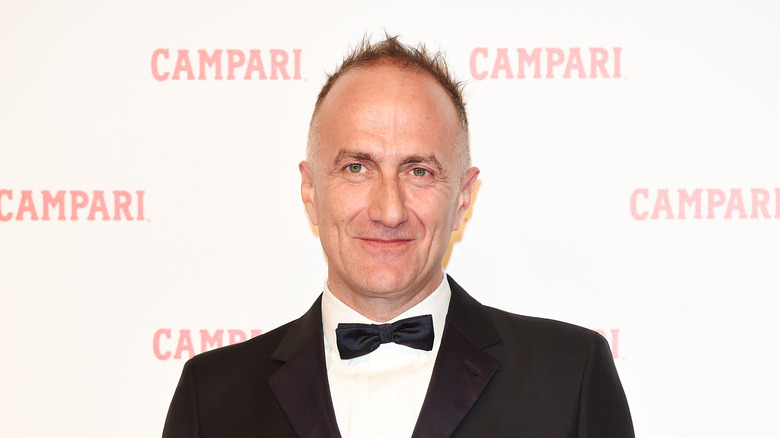 According to a Variety scoop, Stefano Sollima is the odds-on favorite to take the reins on the first ever Call of Duty movie. Sources have confirmed that the Italian helmer is currently deep into negotiations over the project, which can only be good news for fans of the long-running war franchise. Sollima was snatched up to direct the Sicario sequel Day of the Soldado after Denis Villeneuve jumped ship to Blade Runner 2049, impressing Lionsgate execs with his work on critically acclaimed crime series Gomorrah and his similarly themed 2015 mafia thriller Suburra. "We've been here before, but these tour guides have fresh intelligence," Variety's Maureen Ryan said of Sollima and co. in her review of Gomorrah, putting the show in the same league as The Sopranos and The Wire. Empire has also heaped praise on his style, calling him a "visual and kinetic filmmaker [who] combines Michael Mann-like set pieces with scathing social commentary." Perhaps the biggest reason to get excited about Sollima's involvement is the fact that he's spent time in actual war zones. Italian website MyMovies claims that Sollima has real experience with armed conflict. Before becoming a director he apparently cut his teeth as a camera operator for various news networks (he's worked for CNN, NBC and CBS), who sent him to film reports from a number of war-torn places including Libya, Israel, the Gulf, and former Yugoslavia. Most American viewers are likely unfamiliar with the cast of Gomorrah and Suburra, but Sollima has made it clear that he doesn't plan on casting an unknown in Call of Duty. 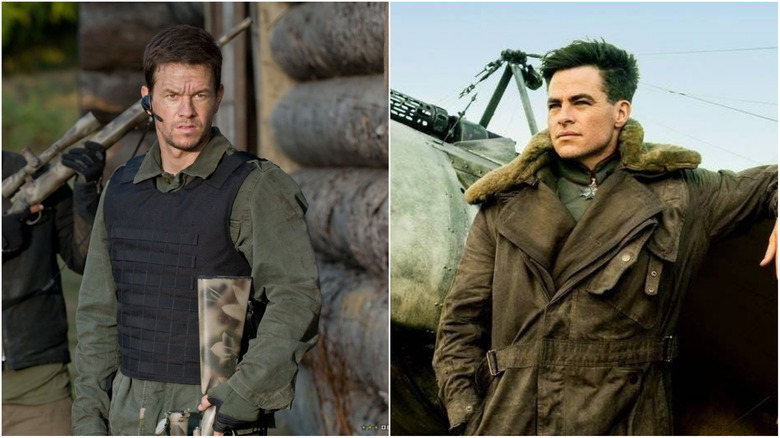 When he sat down for an interview with Metro, the director revealed that he has his eye on a couple of genuine A-listers for the lead role in his CoD movie, with Tom Hardy and Chris Pine at the top of his wishlist. "I mean, I like almost everything [he's been in]," he said of British powerhouse Hardy. "I'm waiting for his Venom. Even in Mad Max, he was great." Hardy is known to be an avid gamer (he's also been heavily linked to a movie adaptation of Tom Clancy's Splinter Cell) and apparently has real-life contacts in the special-ops world, but he faces stiff competition from Wonder Woman and Star Trek reboot star Chris Pine. "He's tough, but he's smart and he can have a sense of humor, but he can [also] be in such a dramatic role," Sollima said of Pine. "I like when you feel that an actor can play with different nuances and tone because this means they're a good actor." Hardy currently has nothing on his plate post-Venom, and would be free to take on Call of Duty should Sollima convince him it's worth his time. Pine is expected to return as James Kirk at some stage, though the status of Star Trek 4 remains up in the air. Perhaps the biggest criticism of past video game adaptations is that they've relied on the strength of the title to get butts in seats. This might work on opening weekend, but once word gets out that the filmmakers have neglected to develop the characters and/or an actual plot, the jig is up — 2010's Prince of Persia: The Sands of Time managed to pull in $30 million in its first few days, but only wound up making $90 million domestically, $110 million less than it cost to make. Like many video game movies, Prince of Persia wound up clawing back much of what it lost at home in the worldwide market, but this is something Activision desperately wants to avoid. "Anytime you take a franchise as storied as this, with this kind of legacy, and expand it into a new form factor you have to be really careful," Tim Kilpin, head of Activision's Consumer Products Group, told MCV. "So frankly, if the script and the story isn't right we won't do it; it's not one of those situations where someone is saying, 'I don't care just get it made!' That's not what's happening." There are numerous scripts already under consideration, however, so the chances of Activision turning them all down are slim. But the fact that they're being picky over the screenplay bodes well for fans hoping for a good movie rather than just a bunch of Call of Duty nods thrown together haphazardly. 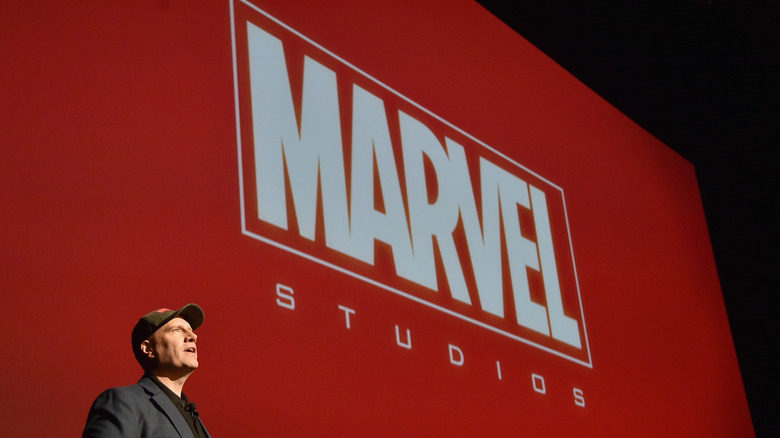 In the mid-2000s, the idea of a large scale, interconnected cinematic universe was little more than a pipe dream shared by Kevin Feige and his ambitious colleagues at Marvel Studios. Little did they know that the concept they were working on would become the biggest Hollywood trend of the modern era, one that their peers would end up desperately trying to emulate. There are numerous studios currently doing everything in their power to replicate the success enjoyed by Marvel over the last decade, and Activision Blizzard are among them. In a move that they reckoned would give their Call of Duty cinematic universe the best chance of succeeding, they hired Nick van Dyk, the former Disney exec who played a huge role in acquiring and developing the Marvel brand while he was working for the Mouse House. Van Dyk told The Guardian that he envisions Call of Duty as "a big, tentpole Marvel-esque movie" rather than just another soulless action flick. "What I think made The Avengers so great was the writing and directing," he said. "You cared about those characters. If you just chase the empty blockbuster, and have nothing to say in the genre, forget about it." The seasoned producer firmly believes that if you want to make a quality movie, you have to hire top talent. "If you look at Marvel, they started working when you had Robert Downey Jr. as Iron Man, and real filmmakers on board as well." Call of Duty's fan base has grown exponentially since the first installment was released in 2003, with the franchise having broken numerous records since. According to Guinness, CoD is the all-time best-selling first person shooter series, with 2011's Call of Duty: Modern Warfare 3 still holding the title of best-selling first person shooter ever. Former Activision CEO Eric Hirshberg revealed (via EuroGamer) that as many as 1.5 million people lined up overnight to buy MW3 on release, making it "the largest retail release in Activision's history and in the industry's history." Getting existing fans to go and see a Call of Duty movie won't be hard, but extending that reach beyond gamers might prove to be a challenge for the filmmakers. According to Tim Kilpin, it's a challenge they're up for. "We do think that if it's done well it has the opportunity to expand the base audience, beyond the traditional foundation that the game appeals to," the Activision man said. "As an M-rated game, it's a core audience and we do think there's an opportunity to reach a little more broadly than that if the storytelling is done well. That's the key." Nick van Dyk has confirmed that they plan to capture the feel of CoD without simply copying it for the big screen. "It's going to have the same sort of high-adrenaline, high-energy aesthetic as the game, but it's not a literal adaptation," he said. 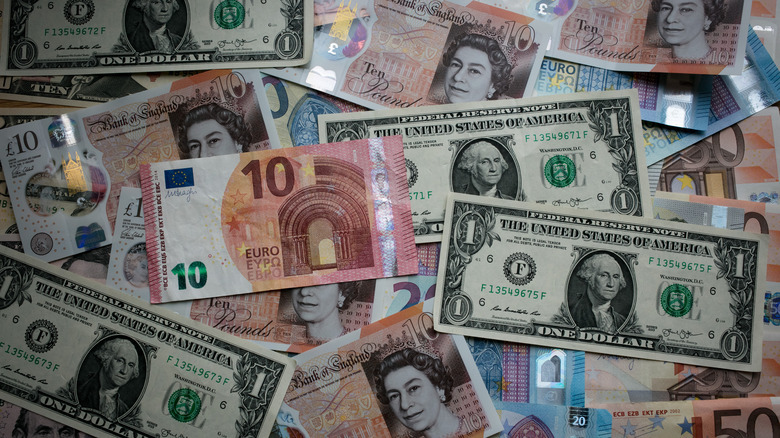 "It's a much more broad and inclusive, global in scope." When it comes to creating a cinematic universe, the old adage "if you fail to prepare, you prepare to fail" rings true. A lack of due diligence is, in part, the reason Warner Bros.' DC Extended Universe has been struggling compared to its rivals at Marvel. 2013's Man of Steel didn't officially become the first film in the DCEU until after it was released and Warner Bros. has been playing catch up ever since, trying to emulate Marvel and alienating perhaps its most popular and profitable hero (Batman) in the process. Activision are well aware of this, which is why they've already mapped out their movies well in advance. "We have plotted out many years," Activision Blizzard Studios co-president Stacey Sher told The Guardian. "We put together this group of writers to talk about where we were going. There'll be a film that feels more like Black Ops, the story behind the story. The Modern Warfare series looks at what it's like to fight a war with the eyes of the world on you. And then maybe something that is more of a hybrid, where you are looking at private, covert operations, while a public operation is going on." 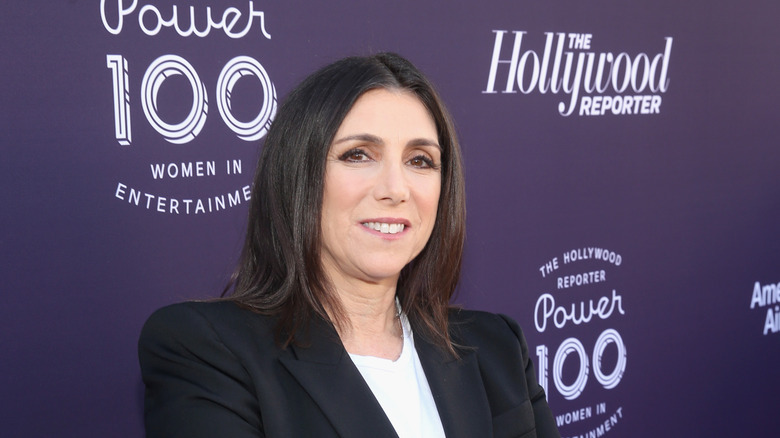 According to Sher and her partner Nick van Dyk, the producers are working hand in hand with military experts and retired soldiers to make sure the Call of Duty movie is as informed and realistic as possible. Call of Duty fans have been skeptical about the movie adaptation since the moment it was announced, and with good reason — the last Activision property to get the big screen treatment was a huge letdown. 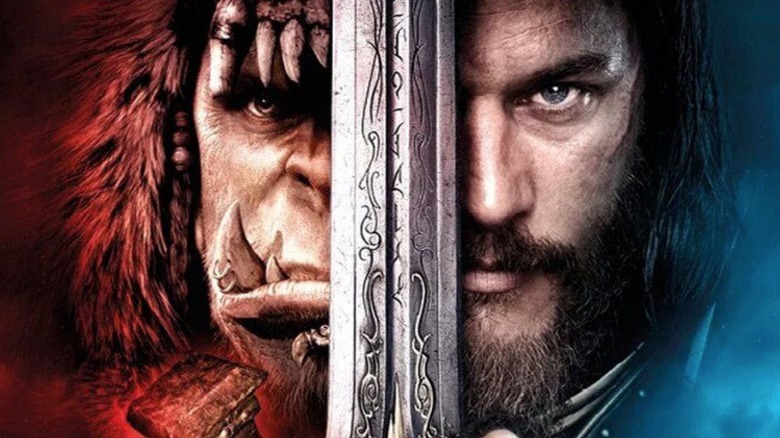 2016's Warcraft flopped domestically and was hammered by the critics, with the filmmakers' decision to appeal pretty much exclusively to the core audience among the chief criticisms. "This is a film that requires an instruction manual going in — or perhaps years of training alongside solemn mages — simply to possess the superhuman endurance needed to enjoy it," The Atlantic's David Sims said in his less than enthusiastic review. Will Leitch of The New Republic agreed, writing off Warcraft as "a language you don't speak, a code you can't crack, a party you weren't invited to." While all of the above may be true, holding Activision to account for it isn't exactly fair, as Warcraft wasn't actually their doing. The publisher acquired MMORPG World of Warcraft during their merger with Vivendi (parent company of Blizzard and Sierra) back in 2008, but the movie rights to the property weren't included in that deal. "Blizzard sold the rights to Legendary before Activision owned Blizzard," Stacey Sher revealed. "And I think our partners at Blizzard are really excited to have people who come from the world of film and television, who are passionate about being stewards of their beloved intellectual property with them, and have the same interests of protecting, and advocating for the IP, as it moves across other platforms." Another argument in support of the Call of Duty movie is the success of Netflix series Skylanders Academy, an animated show from Activision Blizzard Studios based on Activision's Skylanders games. Set in a world of floating islands, the show follows a group of would-be heroes whose job is defending the Skylands from evildoers looking to take advantage of its strategic position at the center of the universe. While it couldn't be more different from Call of Duty in terms of its target audience, the fact that it has been successfully adapted for the screen is definitely something to celebrate. Netflix doesn't release its viewing figures, but Stacey Sher has revealed that somewhere in the region of 10 million people logged in to watch the first season of Skylanders Academy. "Visually, the show is incredibly well-made," a Trusted Reviews writer reported after being invited to watch an episode with their 4-year-old cousin. "Personally, I thought the show was great. It does what every great kids show should do: appeal to both kids and their parents." This seems to be the common consensus, as Netflix went ahead and ordered a third season before the second one had even been released. 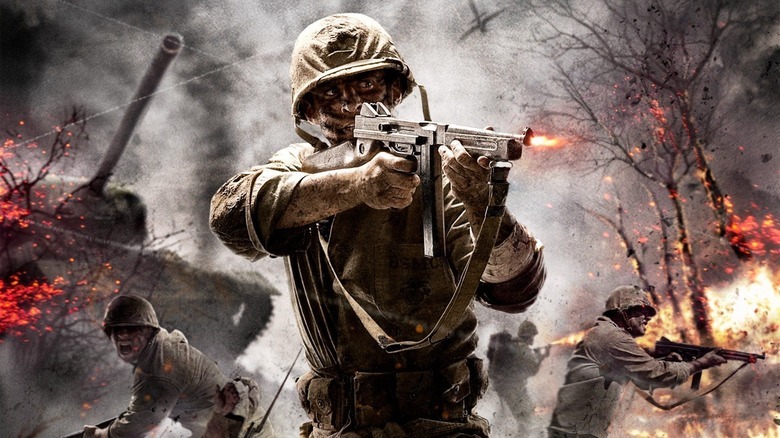 If the Call of Duty movie does succeed, it won't just spawn a new cinematic universe, it will likely open doors for adaptations of other much-loved Activision games. "We have a very rich library," Nick van Dyk said. "I would say our first order of business is existing current franchises, but there's an incredible opportunity to have these hundreds of games that have huge followings and tremendous nostalgia [adapted]." Activision has indeed published numerous classics, but the game most likely to be next in line is Overwatch. "We would like that very much," head of Activision's Consumer Products Group Tim Kilpin told MCV. "We're a platform and a portfolio; these franchises exist across multiple platforms. It's not just the game as a driver, but it's linear content [movies and TV] as a way to expand the audience and expand the opportunity and then esports [too]. Pull all that together and you're talking about franchises that are frankly like no other." Blizzard has released a number of Overwatch shorts since 2016, which are often compared to Pixar films in terms of quality and emotional impact. "We always say our job is to make people feel something," Lydia Bottegoni, SVP of Story and Franchise Development at Blizzard, told IGN. "That's our overall mission, to make you feel something, and the bigger the emotion, the easier it is to get people there." The foundations of a feature-length animated movie are already there should Activision choose to go down this path.